10 Most Fun Indoor Waterparks in the U.S.
Low checking account balance and not enough vacation time should not be factors in deciding to escape the cold weather in the city and have some fun. Indoor waterparks are a very entertaining affordable and wild substitute. Parents’ possibly favorite feature is that they are totally climate-controlled – it’s always around 85 F.
Indoor waterparks have been around for a long time but they seem to improve every year. They keep expanding and adding more and more attractions. 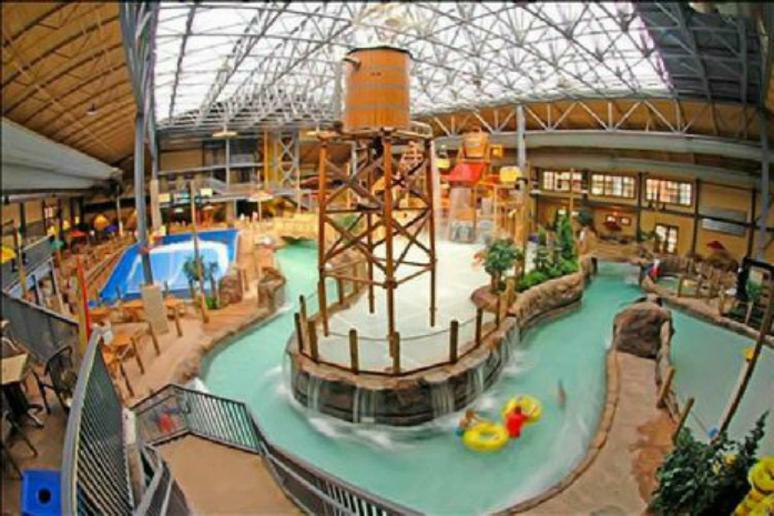 The African-themed Kalahari in Ohio is 173,000 square feet! It’s the largest water park under one roof in the U.S. North America’s largest indoor water park is the World Waterpark in the West Edmonton Mall in Canada, occupying a total area of 225,000 sq. 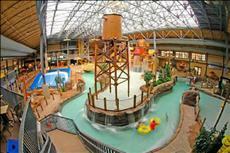 ft.
Slideshow: 10 Most Fun Indoor Waterparks in the U.S. The parks have many kinds of slides – from water coasters to 35-mph waves for surfing and slower family slides. Arcades, zip lines and ski gondolas have become a regular feature. Pools for children of all ages are a must as well as drier distractions for the (maybe) less adventurous adults who just want to play video games or drink tropical cocktails at the bar. You may find a more unusual attraction such as the 90-foot-tall Eagle’s Nest Tower anchors four wild slides in Minnesota’s Water Park of America’s, one of which is more than a mile, or Klondike Kavern’s Hurricane shoots riders, which make you feel weightless for a little bit. There is no need to worry about paying for a plane ticket because cool indoor water parks are located all across the country. A weekend road trip will be enough for a fun family vacation even if you don’t live near the ocean. You’ll still feel like you’re at the beach as you’re relaxing on a lounge chair hearing the lapping waves. It may be named after a desert and be located in the middle of Ohio with a population of just 78,000 people, but this city has the country’s largest waterpark – 173,000 square feet. You may think you’re in Africa when you’re inside because you’ll be surrounded by masks, tribal artifacts and wild animals’ sculptures. You’ll be riding 5-foot waves, sliding on a zip coaster, which offers speedy hikes and scary drops. Little kids prefer the Wild Kingdom because it has net crawls, plenty of water guns and a lot of small slides. This resort has four waterparks. The Wild Water Dome at the resort's New Frontier Region alone is 70,000 sq. ft. It has an enormous pool that will make you feel as if you’re really swimming in the ocean. The roof is all windows so you won’t miss the sun even a little bit. Kids love it for the bumper rides. The parks include basketball hoops, geysers and a hot tub that looks out of the lake. Click here for the other Most Fun Indoor Waterparks in the U.S.